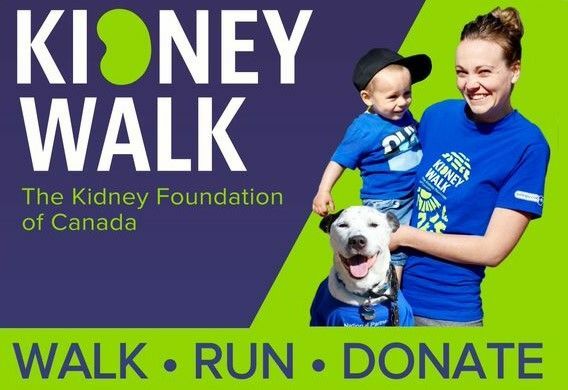 A family friendly walk or run, hosted by the Kidney Foundation, to raise awareness and funds for kidney disease and organ donation. The 3 KM or 6 KM route is designed for walkers, runners, strollers and participants with limited mobility (pets are welcome too). You can register individually or create a team. Registration includes an event shirt, prizes, food, drinks, entertainment and morning of fun for a vital cause.